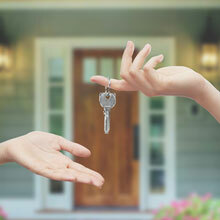 Owning your own home is the dream of many people who are still living in rented homes or apartments. Having your own house means that you have a lot of freedom in terms of creativity, and you also have a lot more privacy than before. Houses in the right areas of the country can also make good investments, since when you live a house for a few years, the value typically goes up. Your financial status is probably the first and most important thing you need to evaluate when beginning to consider buying a house. Can you afford a house? What is the cost of having a mortgage? Your job and your income decide a lot on what houses you can and can’t afford. Your total house payment with taxes and insurance should not exceed 25% of your take-home pay, and fixed rate mortgages for a fifteen year term are preferable to keep down the interest costs of buying a house. If you have never owned your own property before remember you will need to have a little extra money set aside at all times to take care of home maintenance and repairs. You will need to have a decent credit history to get a mortgage, so try always to pay your bills on time. The next thing you need to do if you want to buy a home is to start looking for homes in the area that you want to live in. The easiest way to start searching is through the internet. There are many websites that offer listings for places all over the world. Find out what neighborhood you want to move into. By researching online, you already know most of what you need to know before going to the real estate agent. If you already have a real estate agent to show you around the houses that are available, then start looking at every house that you can. Take notes about every house that you see so that you can keep them straight. A good number to visit is around seven. Assess each house individually to see their strengths and weaknesses. Try to list down all of the pros and cons to each house you see. Make sure to have a good idea of the things you’d like to have in a house. How many bedrooms do you want? How many bathrooms? Should there be a garage? Do you want a large kitchen? All these things should affect how you look at the houses. Try to take pictures of each house you see to help you evaluate the houses even when you are not visiting them. When you have narrowed your list down visit the houses in the daylight and also at night. Also, make sure you know about the neighbors’ houses. Visit on a weekend when neighbors are outdoors doing yardwork. Do they seem to be friendly? Check the other surroundings and see if you like the places nearby. Are there a lot of stores you can go to? Is there a park? If you have children, the school district you live in may be of importance. Make sure to talk to your real estate agent about every house, since they may tell you things that you did not originally consider. For example, if a house is on a septic system or sewer and what the local cable television system is. On the whole though, trust your real estate agent to point out the positive things about properties since their commissions are paid by the sellers, and not you, the buyer. It is usually a worthwhile investment to hire a house inspector to check over any structure you are seriously ready to give earnest money to. After you’ve seen the houses that are available to you, think again about each house and discuss your choice with your real estate agent and family. Soon enough, you’ll find the perfect house for you and you’ll be living in your very own home.